312style: (You Drive Me) CRAZY! 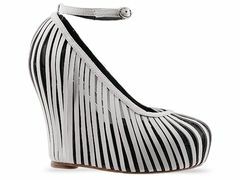 How can I not love a shoe that reminds me of vintage Britney? The black/white combo, peekaboo strips, versatility through the seasons! I'm crazy for it all. 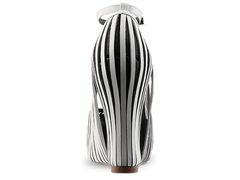 You can purchase these Jeffrey Campbell showstoppers at Solestruck.com.